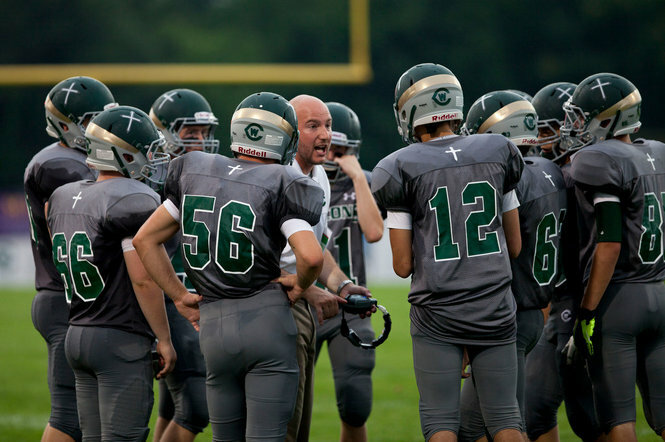 When you go to a school that worships football, creative writing can be a rebellious act. When I was in high school, my friends and I started a literary magazine. Our sports-oriented, Catholic school didn’t have a literary magazine, and our principal didn’t want one, so my friends and I made one on our own time. It had our names on it, and was clearly an independent project. There was nothing anti-school or anti-faculty or anti-religion in the magazine. It was all angsty teenage poems and one really cool science fiction story about a superhero who controls the weather. We put a ridiculously low price on the cover, something like fifty cents. We weren’t trying to make money. We simply wanted to repay my friend’s dad, who had bought the paper for us and helped us with photocopying. We openly sold the magazine at school, the same way kids sold candy bars for their church trips or raffle tickets for YMCA fundraisers. We were proud of our little magazine. And that pride is what got us in trouble. We put a copy into the mailbox of each of the English department faculty and gave one to our principal. We thought they’d like to see what their students had achieved. The principal was livid. How dare we publish a literary magazine? How dare we do it without faculty approval? We were threatened with suspension. Our crime was selling a non school-sponsored magazine on school property. It was a flimsy excuse and he knew it, but he also knew he could make it stick. If he caught us trying to sell our magazine at school, he might have to kick us out. For writing a literary magazine. On our own time. And selling it to our friends. This was in the pre-internet era, otherwise our story would be all over social media. We’d probably have Facebook groups and IndieGoGo campaigns to raise money for our next issue and petitions calling for a public apology. But this was the digital dark ages. We had no voice. We had no power. The principal shut us down. We never published a second issue. I spent the rest of high school—and many years after that—terrified that I’d be punished for writing. I didn’t realize at the time that it was the principal who was truly terrified. We were writing, we were publishing, and other kids were paying for our words. We had better things to write about than our crappy redneck football school. We hadn’t mentioned it at all. But we could have. Oh, we could have. We could have written about the drunk assistant principal or the abusive religion teacher or the inequitable funding between sports and the arts. We could have written about corruption and scandal. And we could have written reams about hypocrisy—about the ways Christianity was used against students on a daily basis. It’s not often that I’d like to go back in time. Overall, I much prefer being a grown-up to being a kid. But if I could live one day of my life over, I might pick the day that my high school principal tried to bully me out of writing. Because if I could go back to that day, knowing what I know now, I wouldn’t apologize. I wouldn’t ask for forgiveness. And I certainly wouldn’t promise to never do it again. I would tell the principal that he could have what he wanted. I would tell him that we were done selling our literary magazine at school. I’d tell him that a second issue was coming, and this one would be distributed for free. Because my words—and those of my friends—are priceless. About the author: Alex Kourvo writes near-future crime novels under the pen name M.H. Mead. She is always tempted to name a fictional villain after her high school principal. Thanks for sharing that story, and thank you for not giving up on writing!